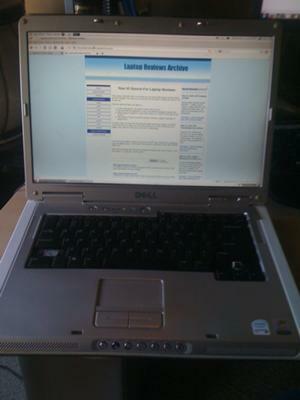 We have purchased this Dell Insperion E1501 about 4-5 years ago, so it is pretty antique for a laptop and we are due to replace it. Overall, it's been one of the worst laptops we have ever owned and had nothing but problems with it. At first, shortly after we bought it, we started getting shocked by it, at first lightly, then more and more. I can't remember exactly what my husband did to it, he's an IT guy, but that problem went away. Then the cord to the laptop started to come apart at the spot where it connects to the laptop in the back. We used electrical tape for a while to mend it and ended up buying a new cord online. The new cord developed the same problem and it is currently taped with electrical tape. The battery in this laptop is notoriously bad, we're on it's 3rd battery and this latest one is on its last leg and we have to keep the laptop plugged in most of the time. 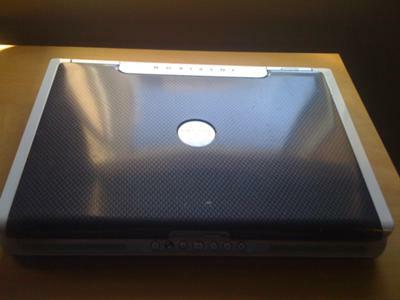 Another major problem is the screen, the mechanism that holds the half of the laptop that contains the screen has began to wear off a couple years ago and now that part is very wobbly and it shakes is you are not holding the device on a flat surface, very still. We're also on the 3 keyboard, but this is not a manufacturing problem: our 2 sons have gone through a period when they were about 22 months and pulled some keys off. 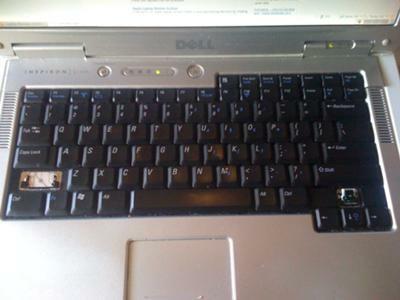 On the bright side, the keyboards only costs about $20 and are rather easy to replace. Another good thing about the keys are the fact that as long as the little mechanism that snaps them in place is not broken you can push them back in place after a couple of time trying. The one we have right now is missing a couple of keys as well. And on top of everything, it crashes all at time, no matter what OS we have installed. Right now it doesn't even work with Windows anymore. I must add a disclaimer: other than the incident with the kids pulling keys off we have been rather gentle with this laptop, thus not causing the problems I have described, this is just a poorly put together/designed machine. To sum this up, the Dell Inspiron E1501 is unreliable, bulky, heavy and conically unreliable. I would not recommend getting one.